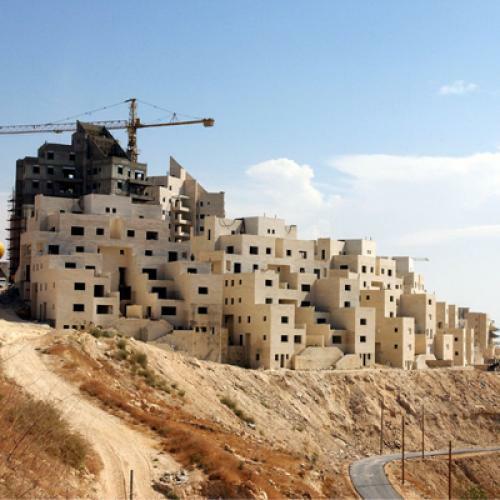 Has Barack Obama sparked a real estate boom in the West Bank? Yitzchak Newman is in the market for his first house. For now, the young IT project manager lives with his wife and toddler in a rented basement apartment. Space is limited and the family yearns to attain the middle class ideal of owning their own home. But unlike most aspiring home-owners, the Newmans are determined to enter the real estate market in what may be the world’s most politically sensitive strip of land. Whether to fulfill a religious prophecy or to live in blissful suburbia, the Newmans and thousands like them are eager to live in one of the dozens of Jewish enclaves in the West Bank. While the Israeli government has long offered subsidies to woo families to the contentious neighborhoods, demand has skyrocketed over the past few months. And realtors may have Barack Obama to thank for the recent boom. In September, five months after Netanyahu took office, the Israeli Defense Ministry approved 455 permits for new units in West Bank settlements, the first such permits issued under Netanyahu’s government. They may be the last if Obama succeeds in putting pressure on the Israelis to freeze construction as a way of restarting the peace process. But if Obama’s intention is to slow growth in the settlements, his tactics may be having the opposite effect. One of the 455 permits is for a 12-unit apartment building in Alon Shvut, 10 miles from Jerusalem, where Newman is looking for property. His interest in the settlement is both social ("we want a community lifestyle that doesn’t exist necessarily in Tel Aviv or Jerusalem") and religious ("we have a biblical right on this land"). The quiet neighborhood is set on a hill between two Arab villages, with grand vistas of gullies visible from most windows. But Newman isn’t having much luck finding a house there. "There’s no new buildings," Newman tells me as he loiters in front of the neighborhood’s synagogue, lamenting his prospects for buying one of the new units. "And when there’s no new building the prices are going to go up--that’s just general economics." Newman estimates that there are as many as 100 other families subletting basement units in Alon Shvut, most of who will be vying for the 12 new apartments. And now he has to compete with the flurry of buyers hoping to score a piece of land before a potential settlement freeze. It is difficult to gauge the exact size of the boo, since the Israeli government is reluctant to release figures. Carmit Kaufman, manager of Real Estate Kaufman who works with settlement real estate, has seen a "30 to 40 percent [rise] in demand" since Obama was elected. "Prices have rocketed sky high," says Yair Kaufman, chief analyst at A. Heifetz & Co., an Israeli consulting company. While cities all over Israel have weathered the global housing slump remarkably well, none compare to the recent boom in the settlements. Israelis looking to build have increasingly few options, which helps explains the recent rush to the settlements. "The fact is if you don’t build in the settlements--and building in the southern part of Israel, the Negev, is problematic because of infrastructure--then you’re kind of running out of places to build," says Kaufman, the real estate analyst. "The population is not going anywhere, so then the problem only gets worse, obviously,"
Gil Marks, a cookbook writer who divides his year between the upper west side of New York City and Alon Shvut, watched the Alon Shvut community debate for years about what to build on their land. "Once they mentioned a settlement freeze, everyone stopped arguing," he says. "Obama comes and lifts the logjam!" For the lucky few able to secure permits in the government’s recent round of approvals, construction is occurring at a breakneck pace to keep up with the new demand. "I don’t even have all the construction plans," building supervisor Shlomo Shmuel tells me as he finishes his first day of work on the recently approved Alon Shvut building. "There are plans … not for construction, only for sales." In the religious settlement of Modi’in Illit, Yitzchak Nordman has succeeded where Newman hasn’t; he owns one of the 84 units that received building permits three weeks ago. Nordman’s new apartment will be in one of three buildings whose construction we can hear from inside his rented apartment. Though an Orthodox Jew, the 24-year-old yeshiva manager does not mention religion as his reason for buying property in the West Bank. "The apartments here are relatively cheap and their prices are always going up, up, up!" he exclaims. "An apartment that two years ago cost 550 [thousand shekels] now costs 700-something.… It’s a good investment." Sigi Asayag, dressed in black leggings and a t-shirt, is frantically crisscrossing the settlement of Ma'ale Adumim, which received 89 of the allotted permits. Private homes with lush green yards line the streets, immaculate apartment buildings rise one after the other, and a giant mall welcomes visitors with an Aroma Cafe, Israel’s equivalent of Starbucks. I catch Asayag, her teenage son, and her husband Shimon as they run from the contractor’s office to the bank. Over the cacophony of buzzing chainsaws and pounding hammers created by blocks of construction, they breathlessly tell me that they recently purchased a two story, three-bedroom house with a front yard. "We like this project," Sigi brusquely explains, standing in front of the construction site. "So, we want to move in," Shimon adds as they pile into their car. Prices for certain apartment blocs in Ma'ale Adumim and Modi’in Illit have risen as much as 20 percent since Barack Obama took office, up from about a five-percent rise in 2008, according to figures collected by an Israeli appraising firm. "There was a big increase in prices in the peripheral of Israel," says Efrat Tolkowsky, the director of the Globe Real Estate Institute at Tel Aviv University. "If you don’t build new [units], then it has the same effect as a land shortage." The future of the West Bank real estate market largely depends on how Netanyahu will respond to Obama’s pressure to freeze settlement construction. "If the Israeli government would allow more building in Ma’ale Adumim," says Michael Brand, the RE/MAX franchise owner there, "obviously, it would … bring the prices down because there would be more competition." But as the Obama administration remains steadfast in its opposition to settlement growth, the Israeli government has not given any indication that it will approve new construction any time soon. "We would just like to buy a house," Newman grumbles as he looks longingly at the families chatting around the holiday market in Alon Shvut. If the West Bank real estate boom continues at its current pace, Newman will be lucky to hold on to his basement apartment.